How Much Do You Know About Four-Leafed Clovers? Lucky clovers are among the most popular good-luck charms. With a little luck, you can find them in nearly any meadow or backyard. Clover hunting is easy enough for young children to do, but challenging enough that older kids and adults won't be bored. And when you're done, you can press your four-leaf clovers and use them to remind yourself how lucky you are. If you want to get fired up before your next clover hunt, check out this playlist of lucky songs. Here are 11 fascinating facts about lucky clovers. How many of them do you already know? Lucky clovers are a four-leafed variety of white clover, also known as Trifolium repens. "Trifolium" literally means three-leafed, so any plants that always grow with four leaves are not lucky clovers. Many other plants, including Pepperwort, Water Clover, and Oxalis, are marketed as lucky clovers, due to their strong resemblance. Though they are not genuine luck-bringers, they may be absolutely beautiful and a pleasure to have around! One way to be sure that you have a true four-leafed clover is to check if all of the leaves are the same size. If so, you're out of luck. True lucky clovers have three leaves that are all the same size, and one that's slightly smaller. Why Are Four-Leafed Clovers Lucky, Anyway? 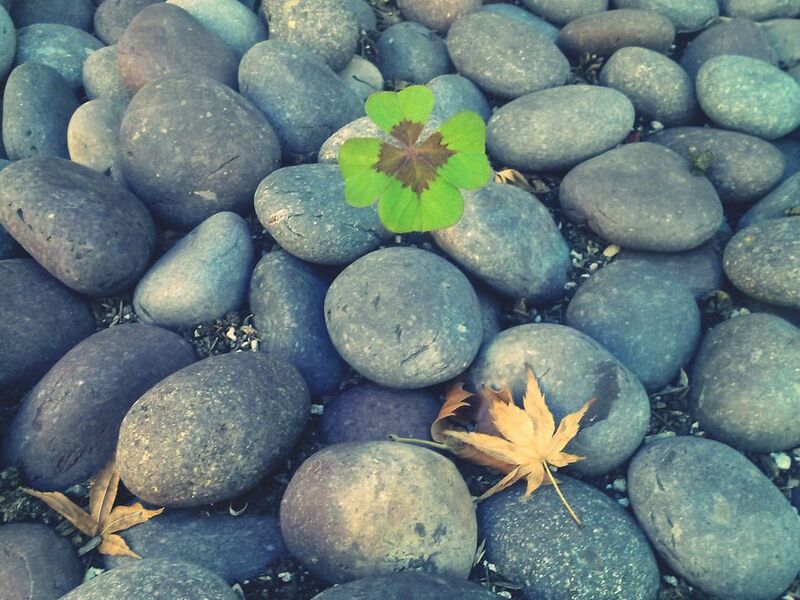 There are many different theories about the origin of the lucky clover superstition. Some legends say that the four leaves are supposed to stand for faith, hope, love, and luck. Others say that four-leaf clovers granted the power to see fairies, or that they are related to St. Patrick's use of the shamrock to explain Christianity to the Irish. Of course, it's also possible that four-leafed clovers are lucky simply because they are rare enough to be unusual, but not so rare that they are hardly ever ​found. So we all know about the "luck of the Irish," and we've seen plenty of leprechauns with shamrocks on St. Patrick's Day. It's easy to get confused, but shamrocks are not the same as lucky four-leaf clovers. Shamrocks are your standard three-leafed clovers. They are associated with Ireland due to the legend that St. Patrick used shamrocks to illustrate how God could be both one entity and three at the same time. Some people say that the four-leafed clover adds God's grace to the metaphor of the Holy Trinity. But no matter what, a shamrock only properly refers to a clover with three leaves. The Fourth Leaf Is Caused by a Genetic Mutation. Probably. Why do some clovers have four leaves, anyway? Like blond hair, blue eyes, and straight hair in humans, the four-leafed clover is a recessive trait in the white clover plant. That means that in order for a stem to have four leaves, it must have inherited the recessive trait from both of its "parents." So given how much progress humanity has made identifying the effects of genes on our own makeup, you'd think it would be an easy thing to figure out why some white clovers have three leaves and others four. But actually, it's surprisingly difficult. Wired has a fascinating article about why the genetic makeup of clover is so weird. "...white clover has double the amount of chromosomes as humans, mangoes, pill bugs, and most other organisms... each pair of the white clover’s chromosomes comes from a different species." While it's very hard to narrow down exactly which gene mutation causes some white clovers to sprout four leaves, scientists are starting to narrow it down. And their research is telling us interesting information, such as what encourages more four-leafed mutations to occur. One of the things that scientists have discovered by studying the gene mutation that causes clovers to grow four leaves is that warm weather tends to encourage the lucky four-leaf mutation. If you're hoping to find yourself a lucky charm, searching in summertime or in warm climates can improve your odds. While we're anthropomorphizing lucky clover, we can also remind ourselves that they like to hang out with their friends. In other words, if you find one four-leaf clover, immediately look around for more. The reason isn't actually because clover is a social plant, but because if one plant has the lucky mutation, more of its stems might bear four leaves. So if you're searching for clovers, multiply your luck by looking more intensely anywhere you find a single four-leafed clover. So what are your odds of looking over a four-leafed clover? Approximately one in 10,000 clover stems will have a four-leafed mutation. Now that might sound daunting, but according to the Minitab Blog, you can find that many clover plants in a rectangular area covering approximately three-by-four feet. So you don't need to cover a massive amount of area to find your lucky clovers. If you try to check 10,000 individual leaves to see if one of them is a lucky clover, you're going to waste a lot of time and energy. Luckily, there's a better way. Let your eyes scan over a limited area (an area about the size of an office desk works well, according to Scientific American). Don't try to look for individual leaves, just try to see if something pops out at you as looking a little bit different from the surrounding clover. If that doesn't work for you right away, try using your shoe to gently brush over the clover, and see if turning the plants to a slightly different angle gives you a better perspective. Lucky Clovers Can Have More than Four Leaves! The mutation that causes more leaves to grow in some white clover plants most commonly results in four-leaf clovers. But sometimes, you end up with even more leaves, which is supposed to be even luckier. For example, six-leafed clovers are supposed to bring faith, hope, love, extra luck, money, and good fortune. But even six leaves is just a start. According to the Guinness Book of World Records, the white clover with the most leaves ever recorded was found by Shigeo Obara of Japan. In 2009, Shigeo Obara found a single white clover with a whopping 56 leaflets! Tempted to Grow Your Own Lucky Clovers? If you think that cultivating lucky clovers would be easier than finding them in a field, wait a second. Although there are many lucky clover kits available to buy, in most (or all) cases, all you are paying for is a batch of plain white clover seeds. The plants that will grow from those seeds may or may not have the recessive gene that will result in four-leafed clovers. So while it might be fun to give it a try (and you may well end up with the lucky clovers you desire), you should be aware that you might also end up with a standard white clover in a pot. You might be able to achieve the same goal and save some money while you're at it by buying regular clover seeds not marketed to luck seekers. Can 'The Secret' Help You Win Sweepstakes? Can Reading This Book Really Make You Luckier? Which Should You Be Entering, One-Time or Daily Sweepstakes?